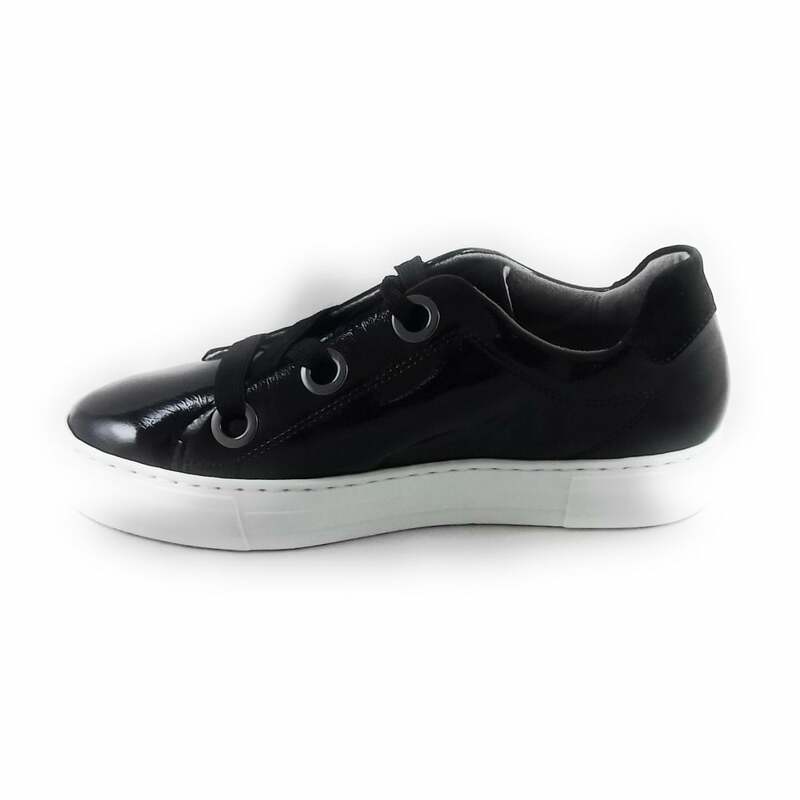 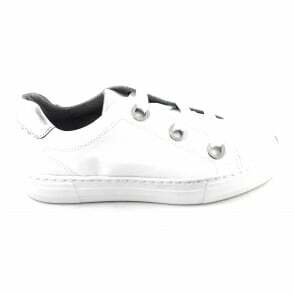 This stylish ladies trainer from Jenny features a black patent leather upper with pewter eyelets. 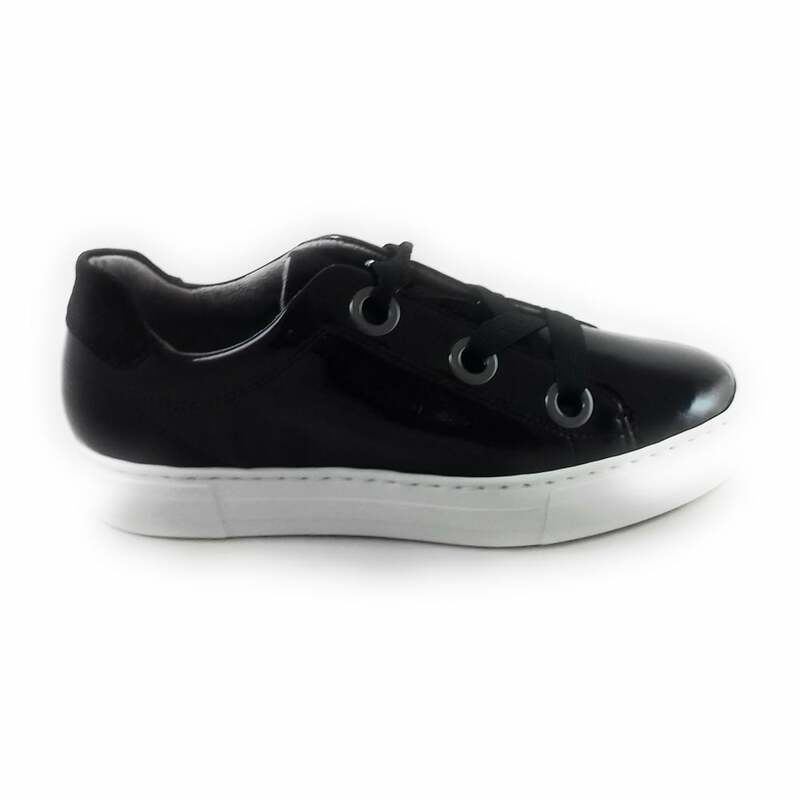 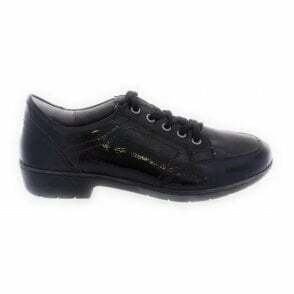 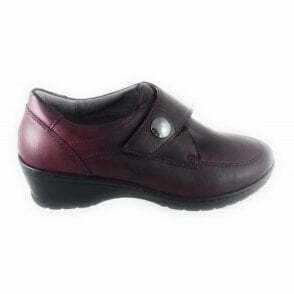 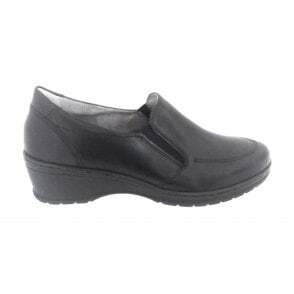 The cushioned leather insole and padded ankle collar give maximum comfort. 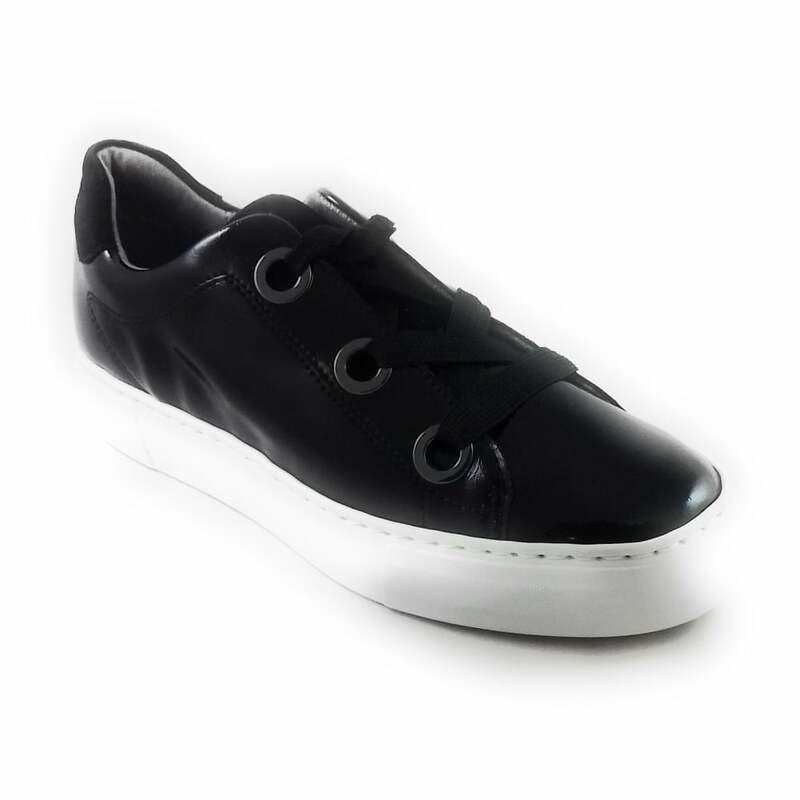 Team with skinny denim or leggings for a casual weekend look.